Hookedblog is very excited to see that The Hallelujah World Tour will be hitting London this week. 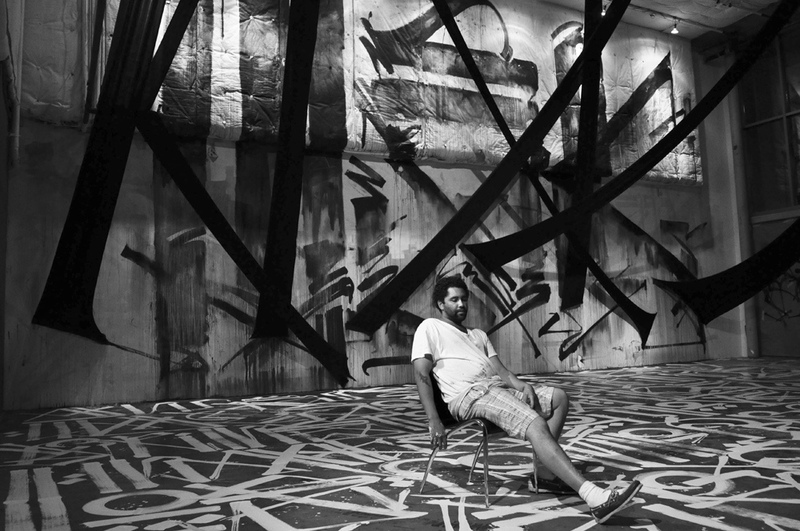 Presented by Vladimir Restoin Roitfeld and Andy Valmorbida, The Hallelujah World Tour is an exhibition of new works by Los Angeles based artist RETNA and will be hosted at the Old Dairy, London. 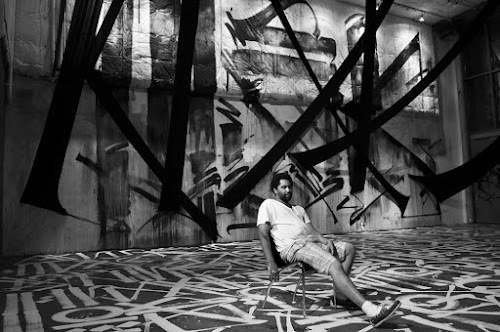 This show will represent RETNA’s first solo exhibition in the UK. Having heard great things about the work, we look forward to this opportunity to see the artist's large scale works up close for ourselves and hope it lives up to all the hype. For those of you not familiar with the artists work, he draws on an array of influences including Asian calligraphy, Incan and Egyptian hieroglyphics, Hebrew and Arabic script as well as traditional UK gang style graffiti writings and the tagging and graffiti seen in Los Angeles since the 1970’s . Within these traditions he has created a distinct and innovative style. RETNA will present 30 new works fusing a variety of different mediums including drawing, painting and poetry. 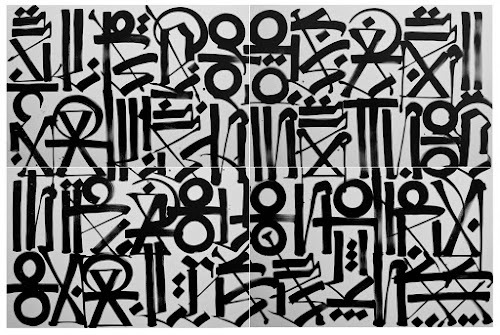 The London exhibition marks the second part of a three stop world tour of RETNA’s work, the tour began in New York in February 2011 and will conclude in Hong Kong later this year. The Old Dairy is open Tuesday to Saturday, 11am to 6pm. Admission is free. The Hallelujah World Tour exhibition will run at the space from 9 June – 27 June 2011.